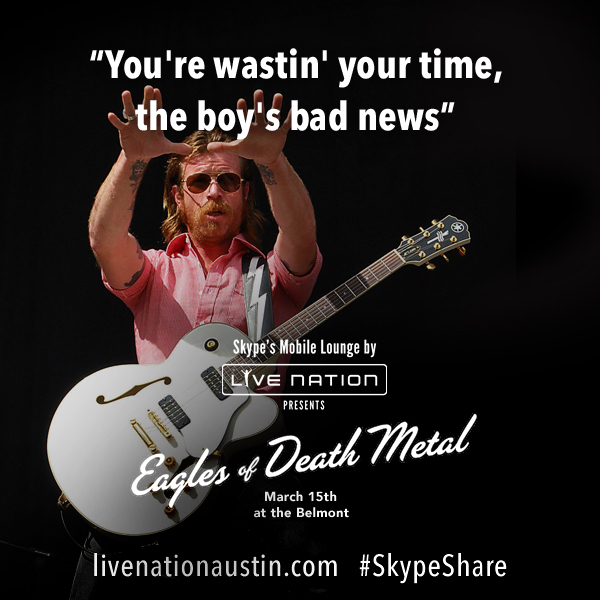 Eagles of Death Metal Official : EAGLES OF DEATH METAL AT SXSW! EAGLES OF DEATH METAL AT SXSW! Check out the show March 15th at the Belmont!